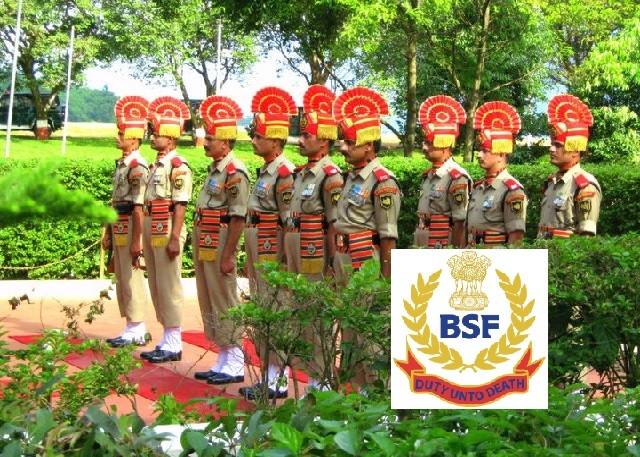 BSF 1074-Border Security Force Recruitment 2017-2018, 1074 Constable (Tradesmen) Posts Download Application Form. The Candidates are requested to Download Application through Official website www.bsf.nic.in. The last date for submission of applications is 30.10.2017. BSF pattern of examination, BSF Syllabus, BSF Question Paper, BSF Admit Date Release Date, BSF Exam Date, BSF Result Date etc. Border Security Force 1074 Constable (Tradesmen) Posts. The Candidate’s Age Limit Should be between 18 Years to 23 Years. The Upper age limit is relaxed by 5 years for SC/ST; 3 years for OBC, 10 Years for Persons with Disabilities (15 years for SC/ST PWD’s & 13 years for OBC PWD’s) and for Ex-S as per Govt. of India rules. The Candidates will be selected based on Physical Efficiency Test, Physical Standard Test, Verification of Documents, Trade Test, Written Test, and Medical Examination. (iv) Caste and attested copies of relevant documents should be addressed to “Address Mention in Official Notification” by post so as to reach us by 29.10.2017.